Ingredients: Pep Tea brand Fruit flavored Kombucha, Fresh Fruit. 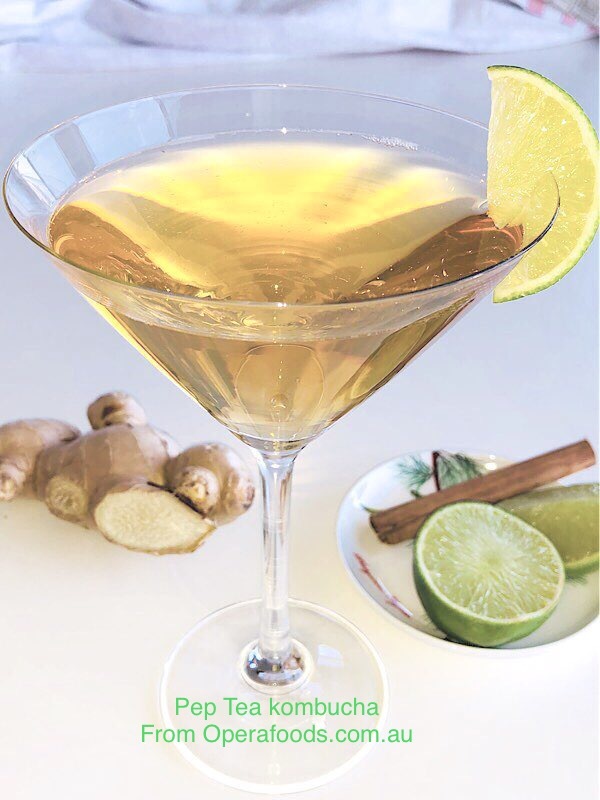 Kombucha is an ancient Chinese fermented tea beverage drunk as a health elixir. When brewed and fermented properly Kombucha is loaded with raw live healthy probiotics. Kombucha on its own can make a nice fruity cocktail, with added fresh fruits always welcome. 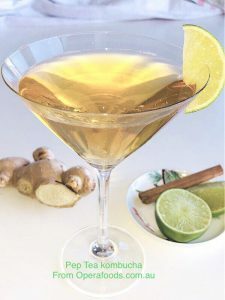 The Pep Tea brand of Kombucha with its refined finish also makes excellent cocktail mixers for alcoholic drinks like a Moscow Mule. 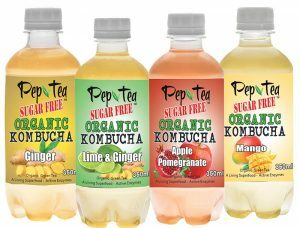 Pep Tea brand’s Organic Kombucha are brewed in the traditional Kombucha way and have a small amount of distilled natural fruit essences added for flavor. 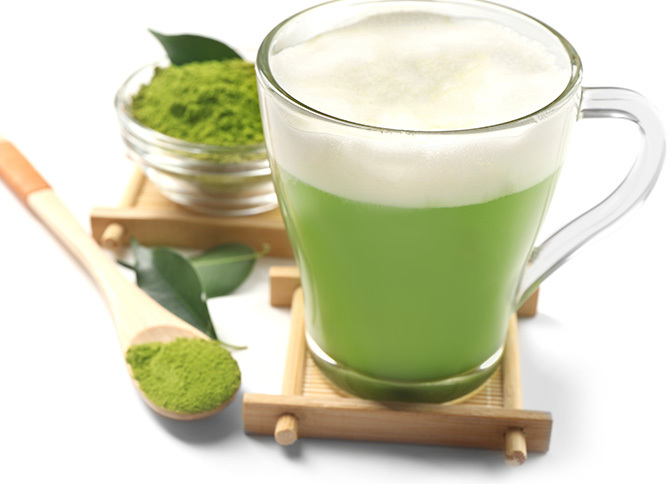 They are shelf stable and so require no refrigeration until opened. Pep Tea Kombucha comes in four great flavors. This is where to buy Kombucha online in Australia or from their Australian kombucha wholesale distributor.